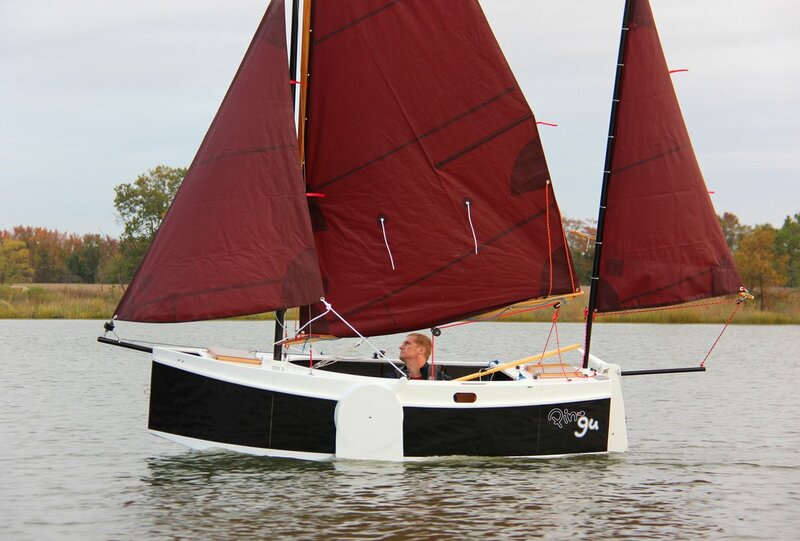 A year-and-a-half ago I wrote about an oddball design, the kind of boat that's fun to contemplate and play with, but which is unlikely to pay the bills. Thank goodness for boats like this. 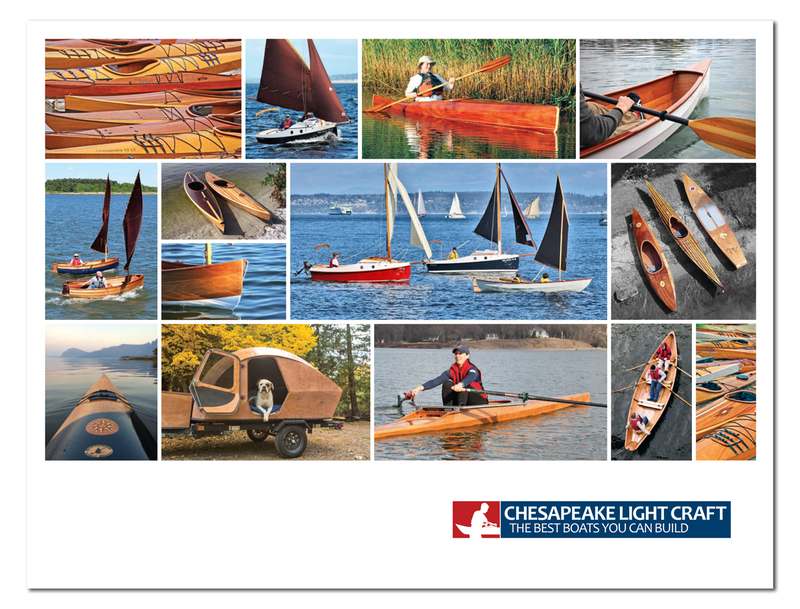 If every new CLC boat design had to win the approval of a focus group I think I'd auction off the place, fix up an old sailboat, and go cruising. My last "just for fun" design was also an oddball, a physically large one. Madness was bonkers fun, but I resolved that my next personal project would be a very small boat. That way, if I got busy or lost interest, it could gather dust harmlessly in a corner of the garage. Thus the subject design, the Nesting Expedition Dinghy. 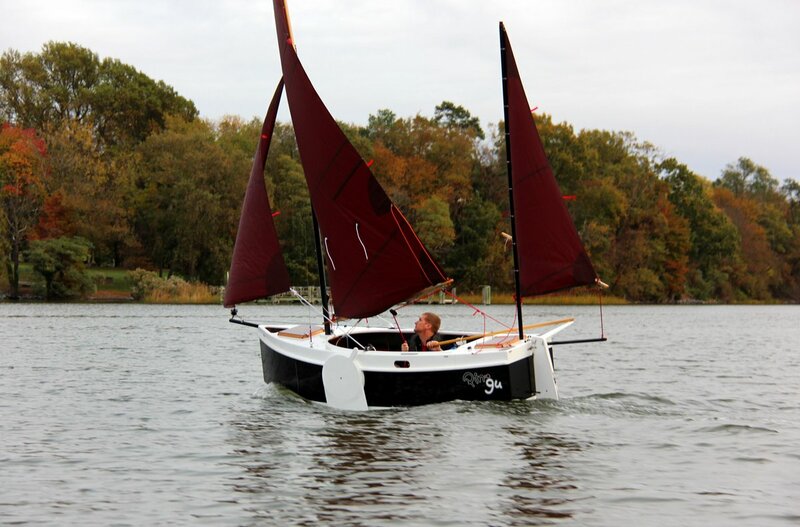 At 10'6" x 42", it's designed to be the smallest possible boat that will sail and row well, sleep a single person, and carry a week's worth of supplies. 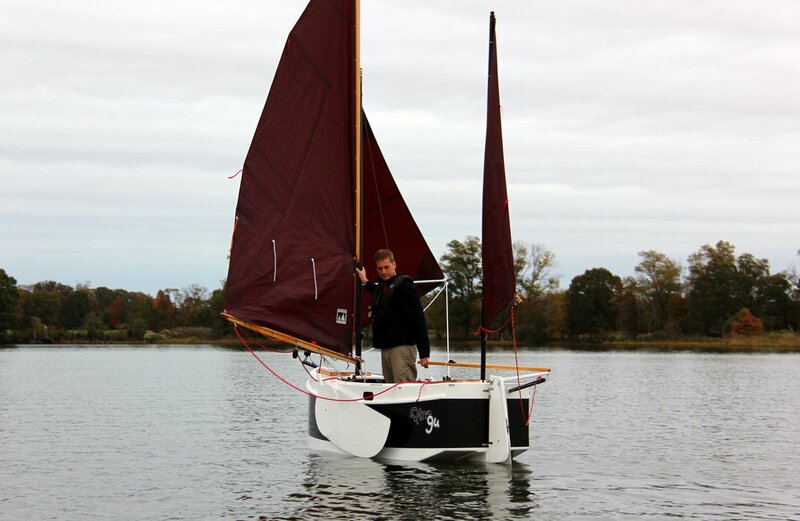 The bow and stern are removable, and stow in the 6-1/2-foot middle section. At worst, I can stash it in my little garden shed. At best, I can ship the thing to Europe to cruise the French canals. I built the boat myself at CLC as time allowed. Which meant ten minutes here, an hour there, and sometimes four months with zero progress. A long series of projected launch days lapsed. Genuinely curious whether I could make the concept work, I persevered nonetheless, and last week sailed the thing at last. I named my Nesting Expedition Dinghy "Pingu," after the quirky cartoon penguin. Like a penguin, Pingu is a bit gawky on land but graceful in the water. 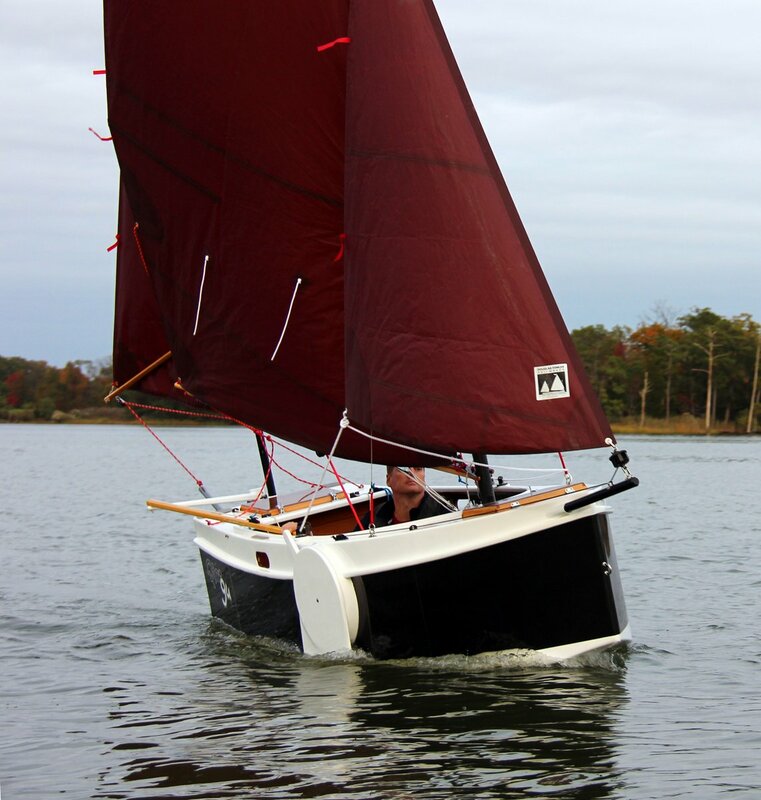 With clean lines, low wetted surface, and an ample sailplan, she's responsive and peppy under sail. The deep cockpit is intended to keep the skipper warm and dry. She'll make a rather good frostbiter, I think. 1. 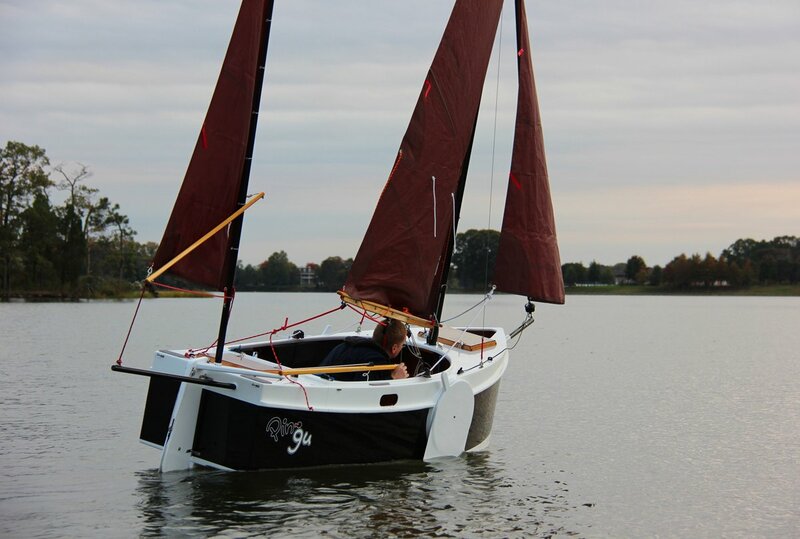 You can "park" the boat in 5 seconds by furling the jib and dropping the mainsail. The mizzen holds the bow into the wind, and the boat looks after itself. 3. Main and mizzen masts support a tent over the cockpit. 4. It's just plain fun to play with a miniature yawl. 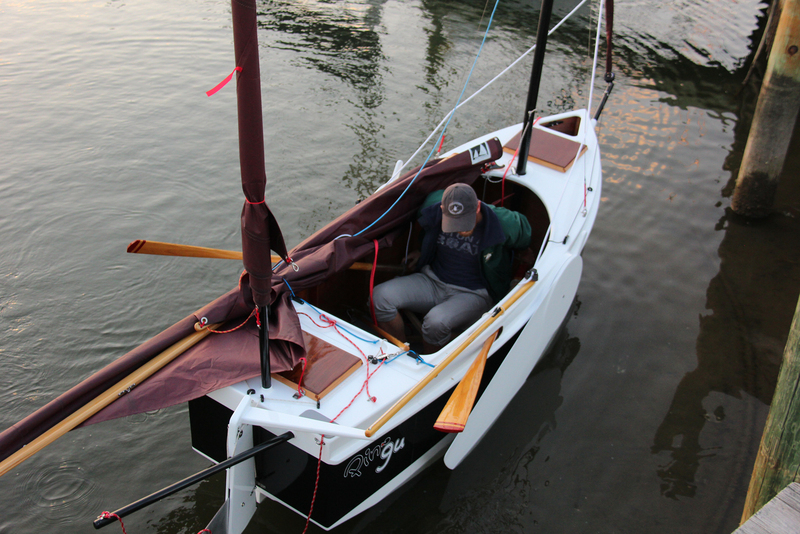 One of the cool things about the yawl rig is that it allows you to balance the sailplan very precisely. In smooth water I found that I could get Pingu to self-steer. 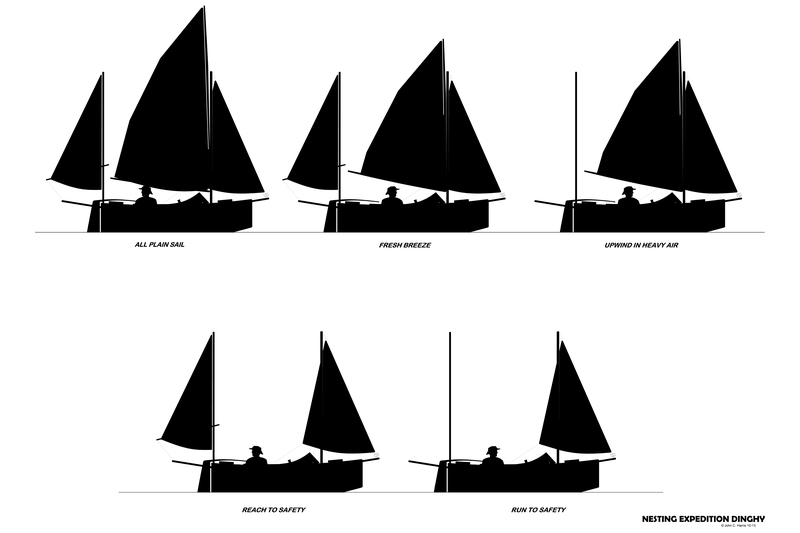 I went to a huge amount of trouble with the Nesting Expedition Dinghy's layout. In small boat cruising, the little details are everything. 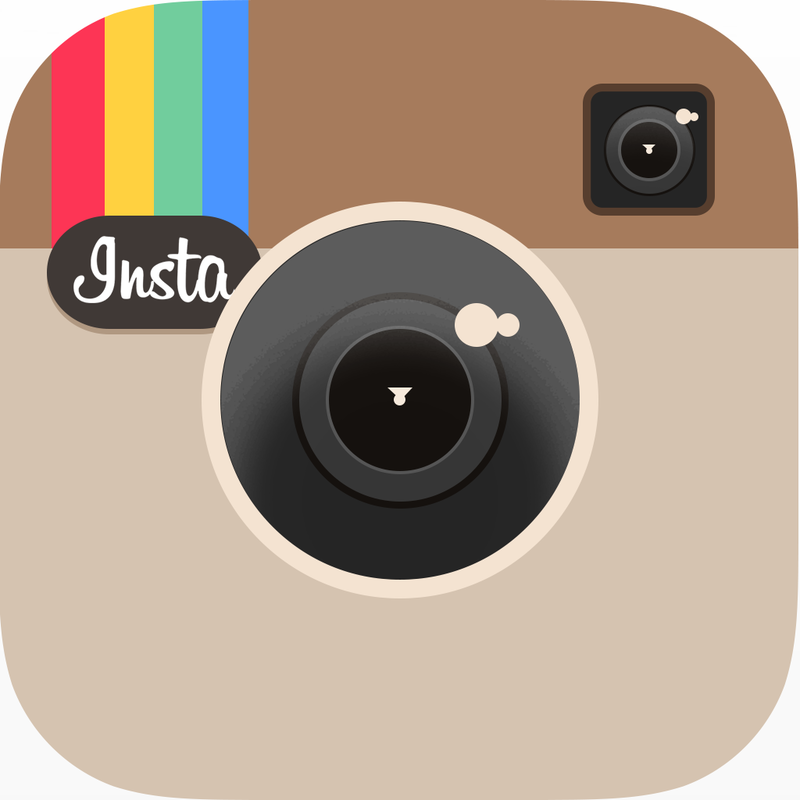 For example, when you drop the sails in most small boats to take up the oars, the sails are in your lap. It's awkward or impossible to row. I created a dedicated storage spot on deck for the mainsail. It can be dropped and bungied in place in seconds. The oars slide through ports in the side of the hull, always clear of the stowed rig. 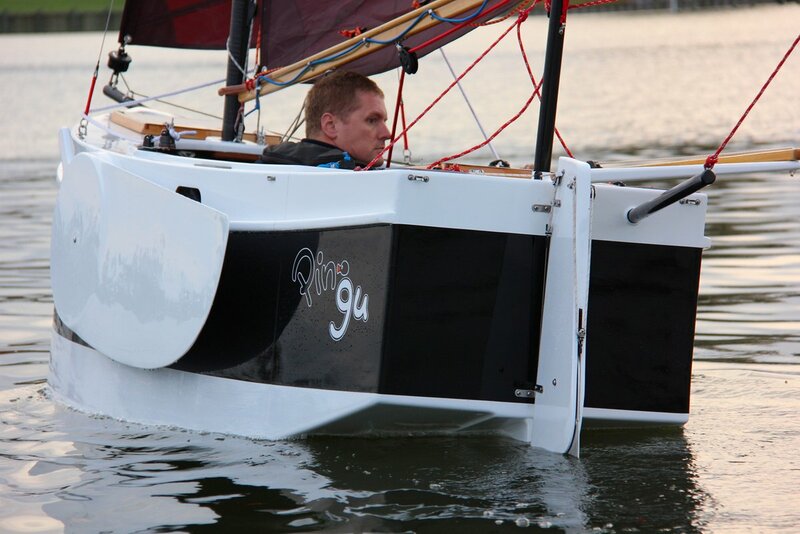 The rowing seat folds and is stowed out of the way, leaving a clear cockpit while under sail. About the only change I made from the early drawings was to plant the mizzen mast on the centerline and fit the rudder with a push-pull tiller. The push-pull tiller lets me sit ANYWHERE. That's probably a critical feature in a boat that's very sensitive to crew weight. You balance her by sitting on the bottom, reclining against the shoulder-high cockpit coaming. The hull shape doesn't lend itself to "hiking out" as in a racing dinghy, which was intentional. With your weight low in the boat, stability is pronounced. The 100 pounds of water ballast beneath the floorboards was a design feature from the start and is meant to remove the twitchiness inherent in small flat-bottomed dinghies. The first time in the water, we were racing with the sunlight. To save time, I opted not to fill the ballast tank. Big mistake. It was a gusty evening, up over 15 knots at times. The boat was plenty twitchy, alright! Between the lack of ballast and a dimwitted decision to cleat the mainsheet, I managed to capsize in front of the photographer. This resulted in much mirth at my expense when the photos were published online. 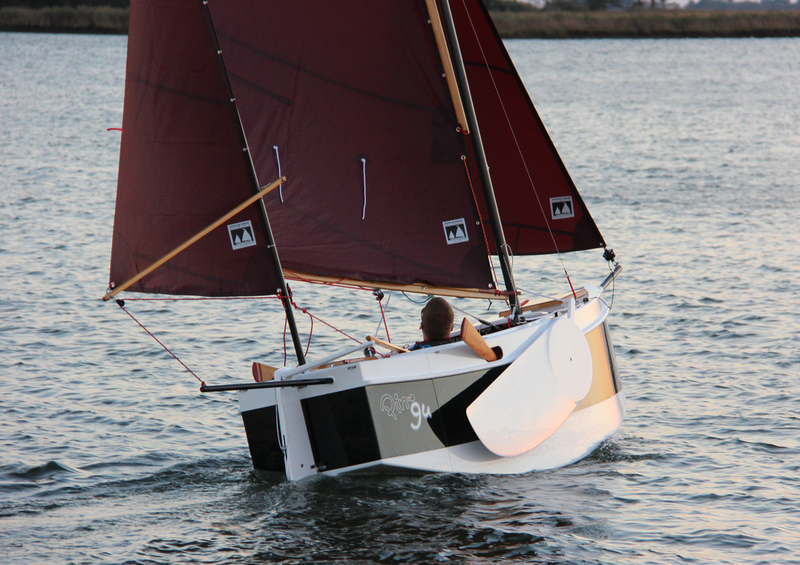 On the bright side, "capsize drill" is an essential part of breaking in a new design. I learned that the Nesting Expedition Dinghy floats high on its side with little inclination to turtle, and that it's quick to right. I only got wet below the waist. I'd have preferred not to get wet at all on that occasion, but I'm glad to have the data point. Always fill the ballast tank, and don't cleat the mainsheet on such small boats. Noted. Downloadable plans will be along shortly. 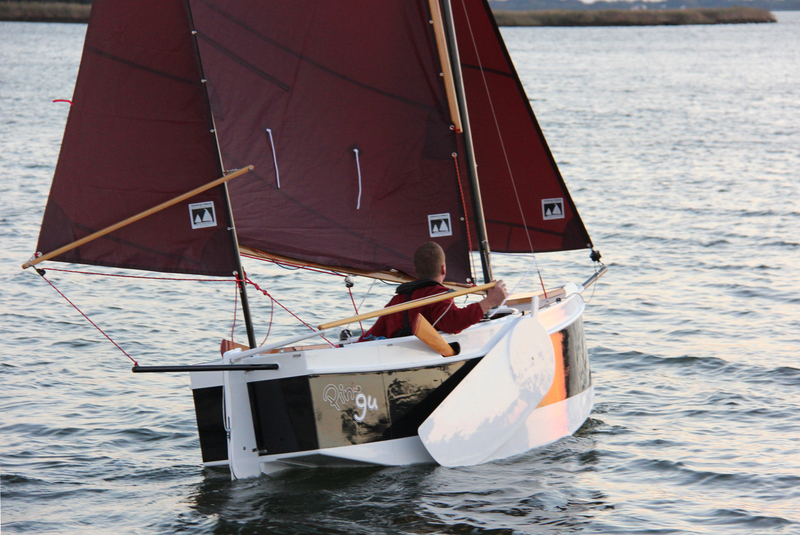 A second hull has been built from a kit. Kits start around $1800 for those into this sort of thing. Construction was about as straightforward as you can make it. I was fixated on eliminating maintenance, so I sheathed every surface of the boat in epoxy and/or fiberglass. This took a lot of time and a lot of epoxy, and probably added 25 pounds to the finished hull weight. 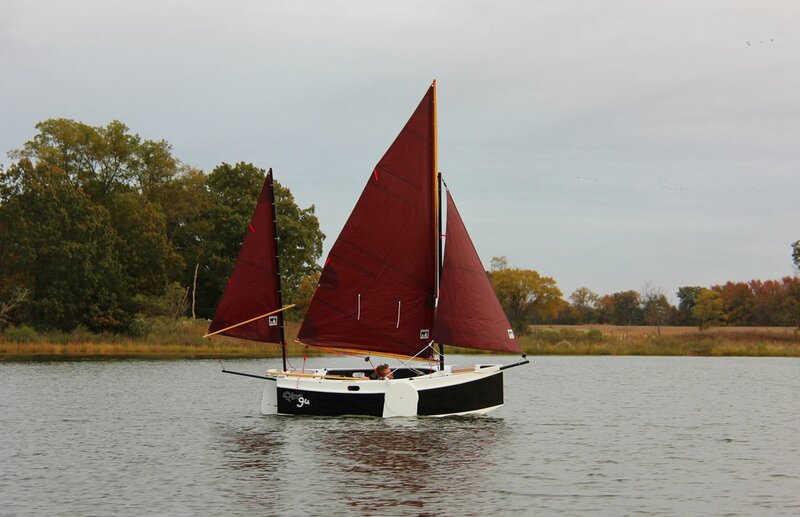 As designed the boat could get by without any fiberglass at all, which would halve the construction time and the cost, but the unprotected wood would deteriorate rapidly unless stored indoors. There's a persuasive argument that designs like this should be built with cheap plywood and finished with porch paint. 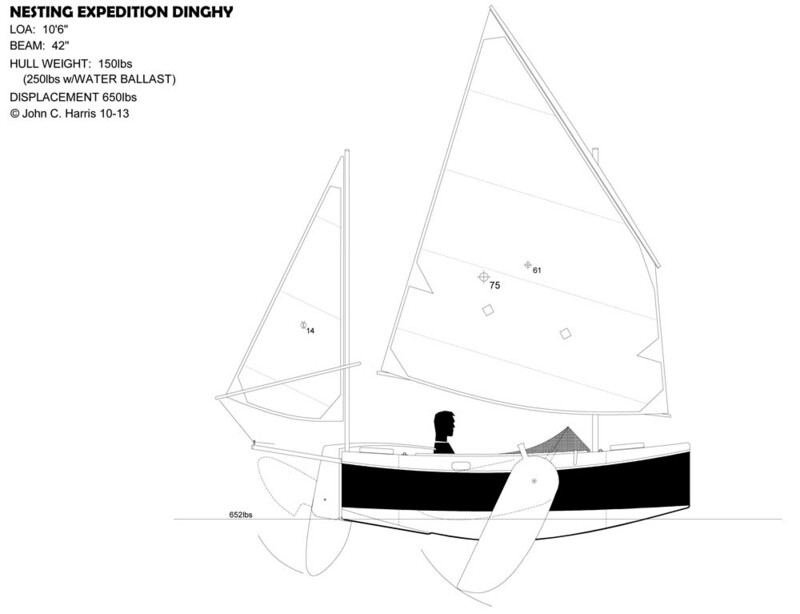 With good sails and foils and a clean bottom, the quick-and-dirty Nesting Expedition Dinghy would sail just as well as my yacht-finished example. Such a boat would be more or less disposable, however. The extra care I took in construction means that I can worry less about rot setting in during the inevitable periods of disuse. I've often wondered if the notoriety of these "Bolger Box" designs stems from the carelessness with which many are built, as if such hull shapes aren't worth a good builder's trouble. Based on the excellent performance I've seen thus far, I wouldn't change a thing, and I'm glad I spent the time on this Bolger Box. Here's a bit of video to give the flavor. She moves well in light air!